Every vehicle is inspected using consistent guidelines by Alliance Inspection Management (AIM), a third party certified inspection company. To schedule your complimentary, but required, vehicle inspection, call 800.253.9026 or visit https://selfschedule.aiminspect.com. If you’d like to purchase your current vehicle, simply visit your INFINITI Retailer prior to the end of your lease term. They’ll discuss what your available options are and if applicable, arrange financing for the purchase of your current vehicle. If you purchase your vehicle, you will not be charged for any excess mileage and/or excessive wear and use. For further information about purchasing your vehicle please contact Lease Customer Network at 800.887.5155 7:00 AM to 6:00 PM. Step One: Prior to your vehicle return date, have your vehicle inspected for excess wear and use. You’ll need to contact the Alliance Inspection Management Center (AIM) at 800.253.9026 to arrange for a complimentary inspection at your home or place of business. AIM is open from 8:00 AM to 9:00 PM Monday through Friday and 8 AM to 5 PM Saturday. If excess wear and use is discovered during your vehicle inspection, you have the option of making repairs before returning your vehicle. Your INFINITI Retailer may be able to help you do this in a cost-effective way, or the cost of repairs may be covered by your insurance company with your only expense being the deductible. (Contact your insurance company for details.) If you decide to have repairs made, please fax repair receipts to Lease Customer Network at 972-607-7151. We will provide you with detailed information about your options via mail as the end of your lease approaches. For further information, please call the Lease Customer Network at 800.887.5155. If you didn’t get a pre-return vehicle inspection before returning your vehicle, you can view the chargeable wear and use under Inspection Results on the End of Lease Experience page. To schedule, call Alliance Inspection Management (“AIM”) at 800.253.9026 or visit https://selfschedule.aiminspect.com. As a reminder, approximately 60 days prior to the end of your lease, we will send you a Wear and Use Assessment Key; it highlights the most common wear and use items and will help you prepare for your pre-return vehicle inspection. Please remember it is required to get your vehicle inspected before returning it to the dealership. That way you can fix any damages prior to returning and there won’t be surprises at lease-end. To schedule your complimentary inspection, call Alliance Inspection Management (“AIM”) at 800.253.9026 or visit https://selfschedule.aiminspect.com. Within the last 60 days of your lease, schedule your complimentary, but required, vehicle inspection, by calling Alliance Inspection Management (“AIM”) at 800.253.9026 or visit https://selfschedule.aiminspect.com. Disposition fee: The disposition fee is commonly charged if you don’t purchase the vehicle. However, current lessees qualify for the Loyalty Waiver. With this, any disposition fee you may owe under your current lease will be waived when you return your current INFINITI vehicle and finance or lease a new, unused, and unregistered INFINITI vehicle through IFS within 30 days of returning your vehicle. ​*Please be aware that you may receive subsequent bills after this liability statement that may include, but are not limited to property tax, parking tickets, toll violations, etc. that occurred during the time you were in possession of the leased vehicle. 1. SCHEDULE YOUR PRE-RETURN VEHICLE INSPECTION: Call the Alliance Inspection Management Center, (AIM) at 800.253.9026 for a complimentary, but required, vehicle inspection. INFINITI Retailers are not authorized to perform this inspection, any requests sent, written or verbal, will not be accepted in the termination process. 3. MAKE AN APPOINTMENT WITH YOUR INFINITI RETAILER: Please contact your local authorized INFINITI Retailer 30 days prior to your maturity date to return, replace, or purchase your lease. 4. COMPLETE A FEDERAL ODOMETER/LEASE TERMINATION STATEMENT AT THE RETAILER: Federal and State law require a signed disclosure of your vehicle’s mileage. This document is also necessary to process the termination of your account, and will serve as your receipt for the return of the vehicle. Be sure to request a copy of all documents for your records. 5. SATISFY ANY LEASE LIABILITY FEES/CHARGES: If applicable, you will receive an End-of-Lease liability statement after the vehicle has been returned to your INFINITI Retailer. The statement will detail any current fees/charges remaining, including a disposition fee of up to $395. You may receive subsequent bills after this liability statement that may include, but are not limited to property tax, parking tickets; toll violations, etc. that occurred during the time you were in possession of the leased vehicle. If you have any questions, or if we can be of further assistance, please call 800.887.5155 between 7:00 AM to 6:00 PM CT, Monday through Friday. Again, thank you for allowing us the opportunity to assist you with your financing needs. *Loyalty waiver applies up to 30 days after lease termination. Eligibility is determined by leasing or purchasing a new, unused, and unregistered INFINITI vehicle financed through IFS. The registered owner’s name on the current lease, must be the same as the registered owner of the new INFINITI, or held in joint ownership. Customers must satisfy all obligations to IFS in accordance with their current lease agreement. The excess wear-and-use waiver does not apply to excess mileage fees. See dealer for details. If you are purchasing your lease vehicle, you do not need a pre-inspection. You will not be responsible for any excess mileage or excessive wear and use charges. No. You need to return your lease to an INFINITI Retailer. 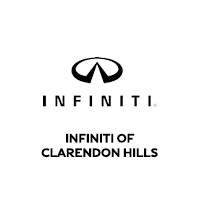 If you need to find a Retailer, please go to INFINITIUSA.com to locate the one nearest to you. If your vehicle’s mileage exceeds that allowed under your Lease Agreement, you will be responsible for paying the per mile charge for excess miles driven. Please refer to your agreement for miles allowed and excess mileage charges. This charge is assessed if the vehicle is returned at the end of your lease. If you choose to purchase your vehicle at lease-end, you will not be charged for any excess mileage. If excessive wear and use is discovered during your vehicle inspection, you have the option of making repairs before returning your vehicle. We recommend that you discuss the results with your INFINITI Retailer or insurance agent. If you choose not to make repairs, simply return your vehicle. IFS will send you an end of lease liability statement that includes the excess wear charges that appears on your condition report.